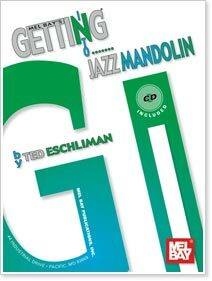 Ted Eschliman is the webmaster of jazzmando.com, a former undergraduate music theory educator and long-time seasoned performer with several recordings under his belt. Since 1998 Ted has focused his creative energy in jazz mandolin, an instrument he thinks has broader appeal in the musical community that is yet to be tapped. He is the author of Getting Into Jazz Mandolin from Mel Bay. 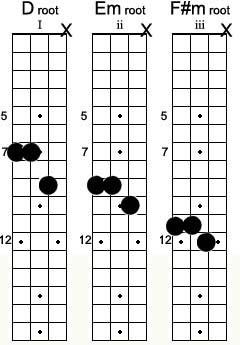 Last week we introduced the first in our series on Vamp, taking static chords that might be "vanilla" all by themselves, stumming "G. G. G. G. G. G, etc." 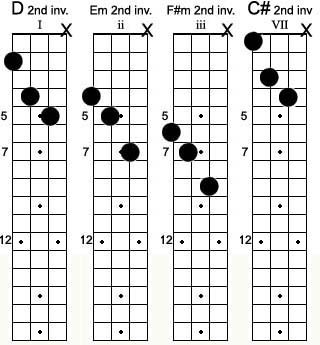 and supercharging the pattern with chords out of the same scale. The idea is to add the condiments that don't betray the tonal center, the "G-ness" of the measures, but freshen the accompaniment. 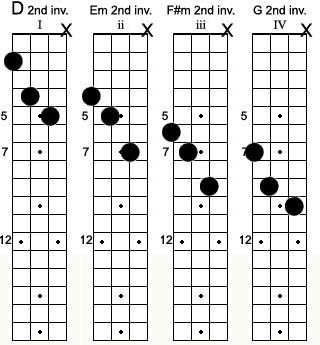 We did it with simple three-note chords, major triads, including three different variations commonly called "inversions." If you haven't read this already, we encourage you to double back and soak it in: Vamps. 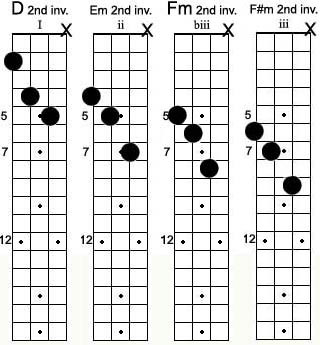 Creating energy with Diatonic triads. 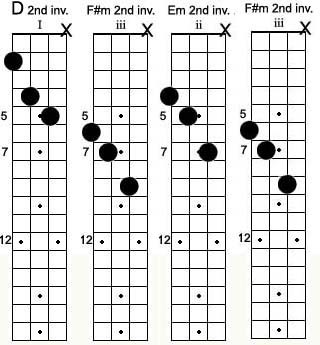 You can do the same with the next inversion, adding the same slick ascending one-fret trick. 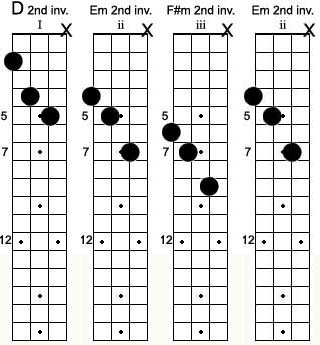 Again, simple in mechanics, with the insertion of these into the pattern, you're adding additional energy without harmonic distraction. 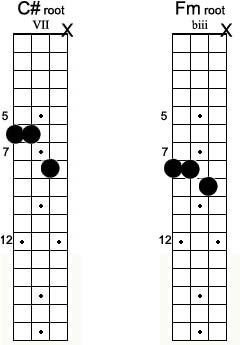 Play around with these and see if you can do the same with the third (1st inversion) set of blocks from last week.